My Life as a Dog: Wake Boarding Success! Three Saturdays ago I went out on Utah Lake with some friends. 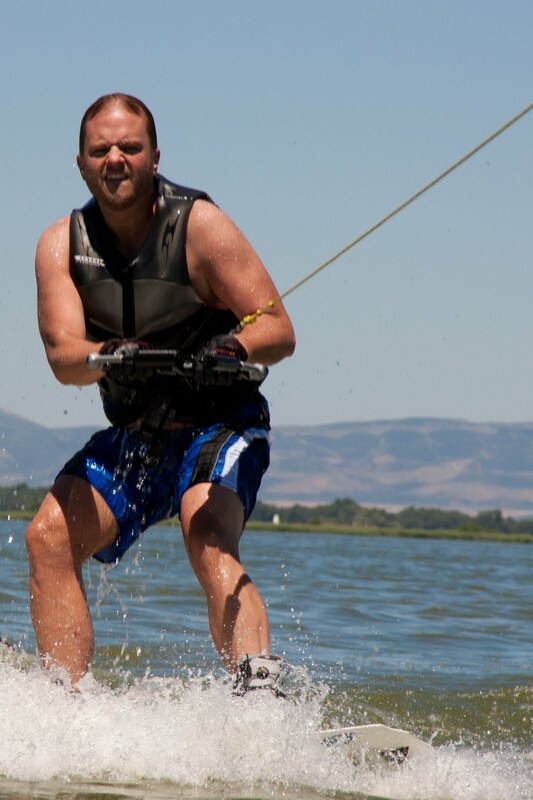 The idea was to go wake boarding. I love being out on the water in a boat but when it comes to water sports I've had little to no success. As a kid we had a boat but when my family was doing the bulk of their water skiing, I was too small for the skis. By the time I was interested in trying it out my siblings had all moved on to other activities and the boat was getting old. 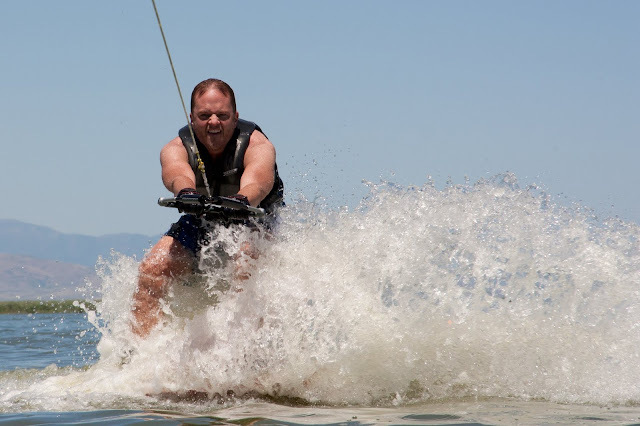 I do remember once (I was probably junior high age) that I went water skiing with some of my family and after many attempts I was finally able to get up. 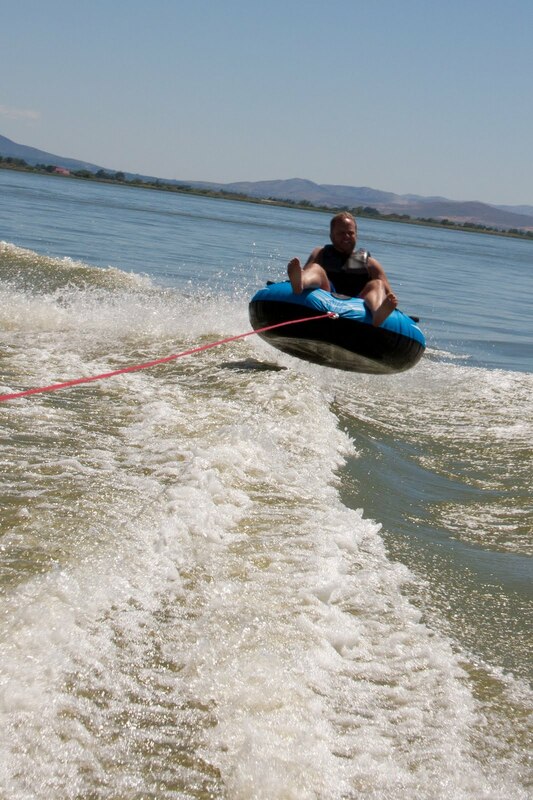 Oh and we did some tubing too!